He agrees to your favorite chick flick! The smell of popcorn in the air. That old comfy tshirt on, and him in his boxers. The lights turned off, and the show begins. Snuggled up on the coolest hanging chair, you settle in to share an evening. You hear his little chuckle as you tear up during the sad parts, but then you feel his arms slide around you and pull you close. This is the current MM board item at STB — as usually 750 slaps needed! I feel I need to spread the wonder …. the last days me blogging has been rarely – I know – and I do apologize! I moved into a new sim and was busy building and creating my little wonderland…. and now that I am ready I feel I have to show you …. cause I have hidden some GREAT bargains in there…. 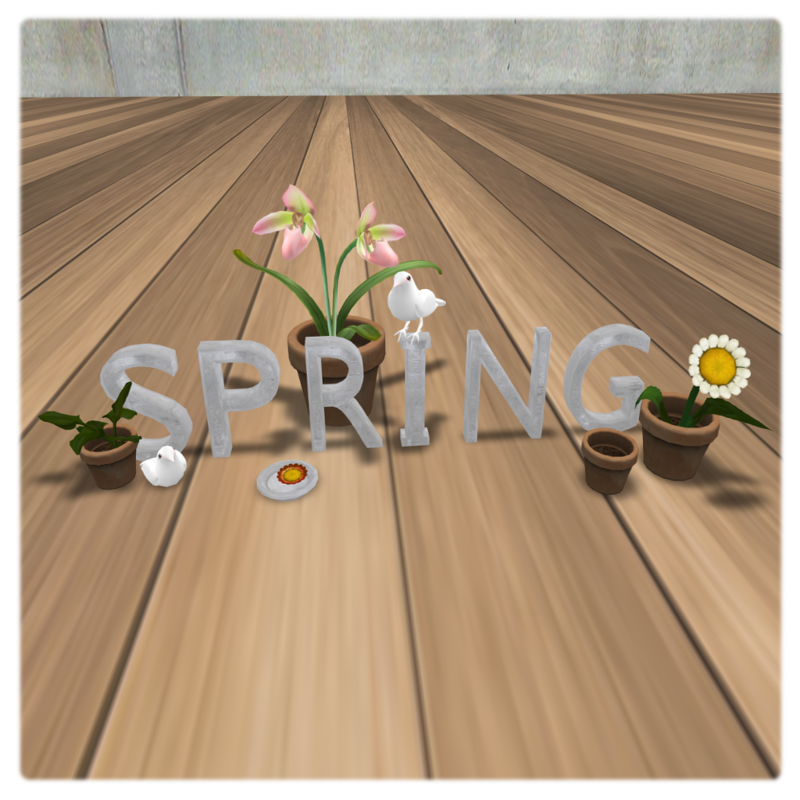 items are not FREE — BUT SO WORTH EVERY LINDEN AND MAYBE EVEN MORE!!! I am so amazed from the work put into these items — and the quality that turned out that I nearly bought the entire store… and the items I don´t have so far are definitly on my WISH LIST! But see yourself … these pics will show you more then words! The fountain comes with a menue driven pose menue for MULTIPLE AVATARS… so invite your friends and have a little chat with them! 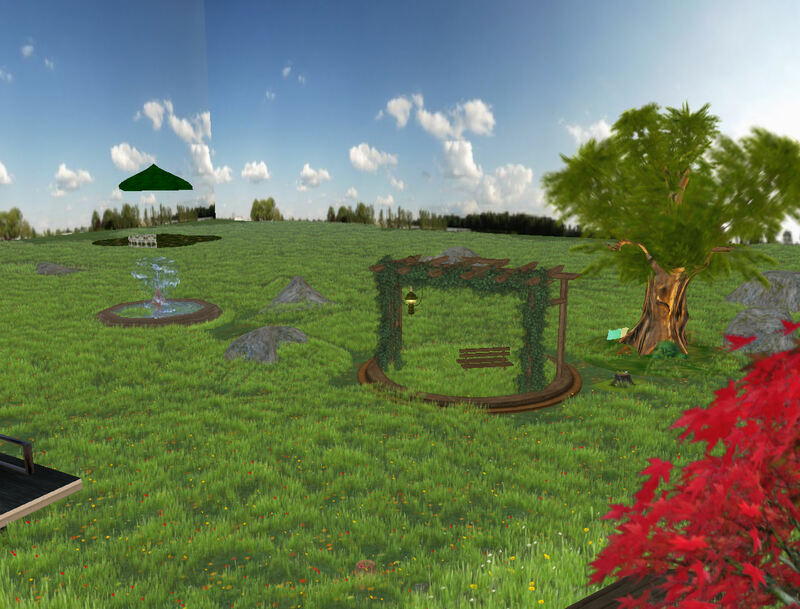 The tree shown below is equipped with the same menue and also offers the possibility to use it with multiple avatars at once! — The tree itself is available in either this red version or a goldish colour. Ah well I guess you need a better picture of that to see the entire beauty of it … so I am gone link in the xstreet picture! As a special BARGAIN you can currently score this amazing — mmmmhh how to call that — MUST HAVE! 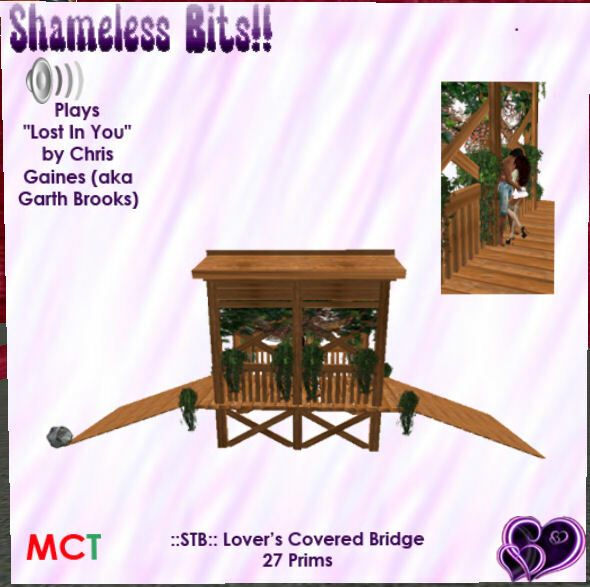 It is 10 Linden only as a promo SALE available on xstreet and of course inworld! This items is equipped with the same menue as above items and is also for multiple avatars! 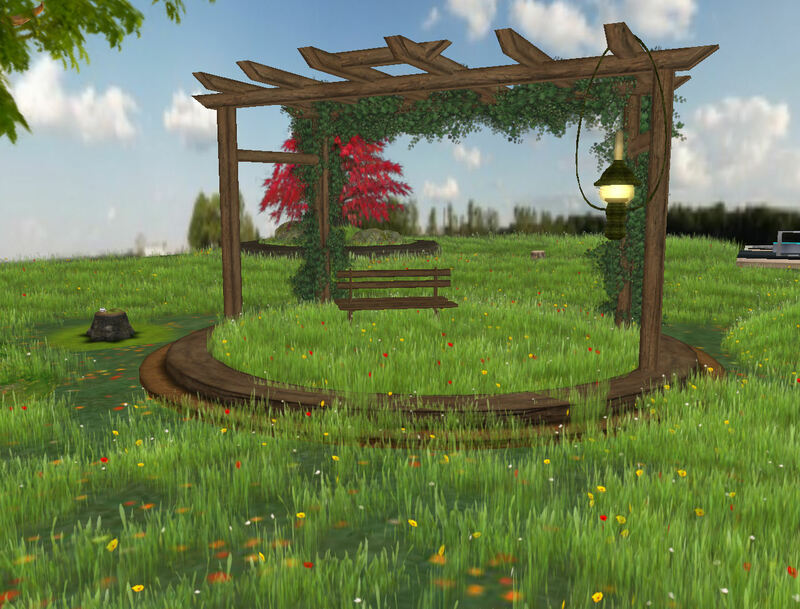 All items can be found on xstreet or inworld —- I strongly recommend that you go and have a look at the inworld store — it is so LOVELY! You can wander along grass hills and try all items before you buy! And to get even more wonder in all this (which is close to impossible in my opinion) ALL these items are so LOW PRIMMED! For example the grass is 1 prim each!!!! 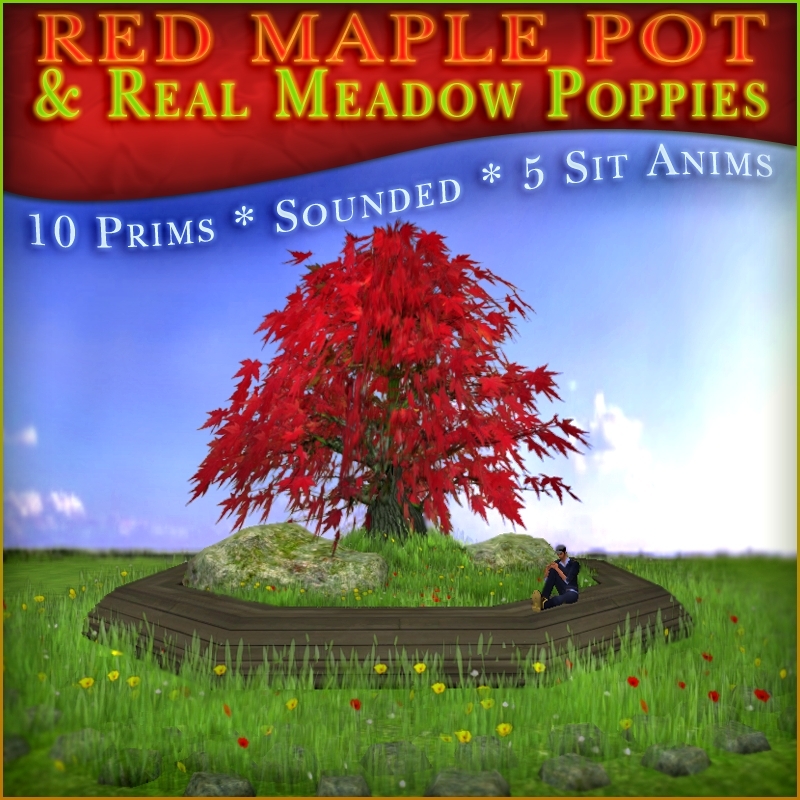 And comes in various sizes and shapes, so it is easy to cover the whole land (as I did) using up only 10 prims! And Friday’s MM – /750 @ Shameless Bits! – Celebrating the new store opening!! It’s one of those wonderful warm spring days. You and the one you love decide to spend it outside to shake the winter chill off of ya. Walking hand in hand through your garden, enjoying the rays of sun hitting your face. You see your rose garden has bloomed around your swing. You grab thier hand and lovingly go to the swing. Gently pushing it with your feet as your lips meet thiers in a sweet kiss. 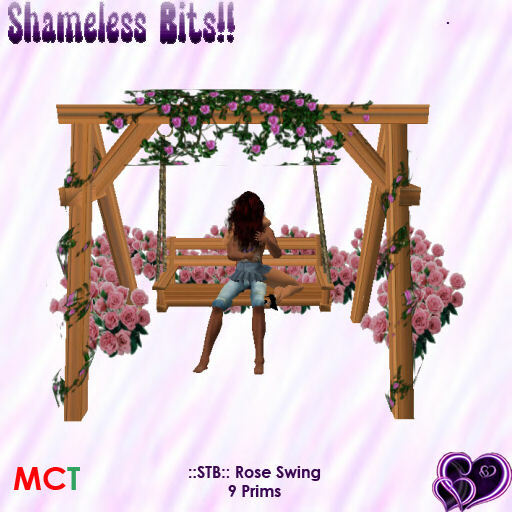 Thursday’s MM – 89 /625 @ Shameless Bits! – Celebrating my new store opening!! A country meadow, the sweet scent of flowers blooming surrounds you, the one you love by your side and the whole day in front of you to just relax and be together. Of course alot of kissing will be involved (winks)!! Included is a beautiful field of flowers, and a flower cuddle blanket. The full version of the bridge is available for a special sale price only today – before it goes back to normal value!